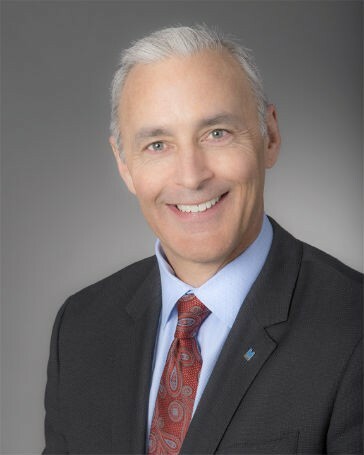 Prior to his most recent position at Northwest Pipe, Martin served as Executive Vice President of Sales and Marketing responsible for all commercial revenue generating activities. Over the span of his 28-year career, he has a record of sales excellence, most notably in the steel pipe business for the water market as well as the oil and gas industry. Martin holds a Bachelor of Science degree in Finance from the College of Business Administration at the University of Oregon in Eugene. Martin and his wife Jamie are from the Pacific Northwest but have family in Texas, including a daughter who will graduate with a Master's Degree in Educational Administration from Texas A&M University in May. "I am excited to be joining such a well-respected and successful management team," said Dana. "Over the course of my career, I have developed a strong belief that all end users, be they municipalities or private industries, should demand the type of long term corrosion resistance and proven performance record inherent in HOBAS pipe." Martin will be taking over the Vice President of Sales duties from Larry Johnson, who has filled this role for the company over the past 22 years. Larry has been with the firm for 28 years, and will be transitioning from his current position but will be staying on with the company in the role of Vice President of Special Projects. Over the past 22 years, Larry has developed and led a team of sales professionals second to none and has helped make HOBAS the premier fiberglass pipe product in the municipal marketplace. "We welcome Martin to our team and believe he is the right individual to lead our sales force going forward," said Ed Kocurek, President/CEO. "We are excited about the future of the company as we build on our past successes, expand our product portfolio, and continue to provide both outstanding products and services to our clients."